Deputy Foreign Minister Tzipi Hotovely (Likud) spoke to Fox News about the Arab-Israeli conflict and the United Nations' role in perpetuating the myth of Palestinian refugees. "First of all what's really good about the way this administration is thinking about the region in general [is] they understand that still the biggest issue is Iranian issue," Hotovely said. "The fact [is] that Israel today, more than ever, has closer relations with the moderate Arab countries such as Egypt and Jordan, and even Saudi Arabia." Hotovely believes that many people understand the conflict will not be resolved until the Palestinian Authority changes the way it educates children. "We were just talking about the fact that their textbooks unfortunately are still full of hate and the denial of the right of Israel to exist as a Jewish state," she explained. "And this is I think the key to get forward in the peace process." 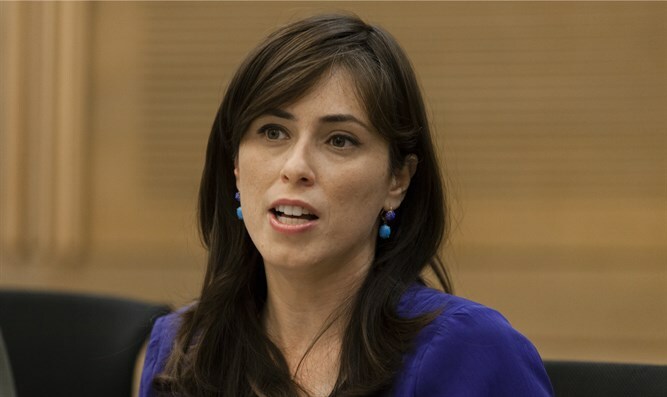 Regarding the relief the United Nations provides to the Palestinian Arabs, Hotovely noted that the "UN bias against Israel" goes through "certain agencies." She believes that since America is the main donor and the funds come off American taxpayers' money, US taxpayers deserve transparency. "Some people don't even know where the money is going to," she noted. "Think about it, you're giving your money in order to make sure that there won't be any more refugees, and what this agency is doing is creating more and more refugees. This is ridiculous." Regarding UNRWA itself (the United Nations Relief and Works Agency for Palestine Refugees in the Near East), Hotovely said the UN is "creating a myth that the Palestinians are supposed to be refugees when they're actually not. "International law speaks about one generation of refugees," she explained. "And then afterwards of course they need to be resettled. "The Palestinians were speaking about five generations after the 1948 war - the war they started. They were attacking Israel, they were trying to make sure that Israel won't exist on the Middle East map, and they lost the war. "They're not accepting this fact... They're actually educating their children, their grandchildren, their great-grandchildren on the idea they're refugees from Israel... This is something that must stop, because the way the UN in general is dealing with the refugee problem is that they have the agency, UNHCR (United Nations High Commissioner for Refugees) and...they're trying to make sure there will be fewer refugees every year. "The Palestinians are the only population in the world that the refugees are just growing." Hotovely also noted that in the last Gaza operation in 2014, "some of those UNRWA schools were part of Hamas actions against Israel, the IDF, and Israeli children, in the south of Israel."